A few weeks ago I sold my oldest and most worked-on website, Movie-Vault.com. 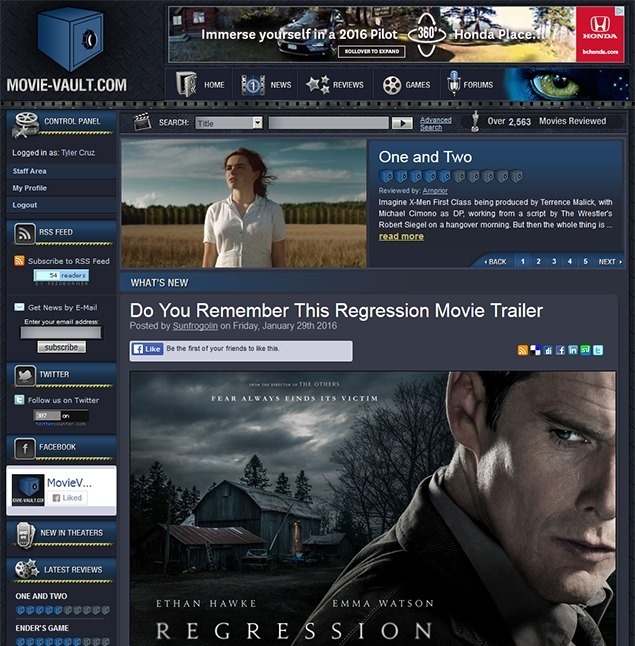 I’ve owned Movie-Vault.com for over 15 year which is about half of my lifetime, and so I have a lot of history and attachment with the site, especially since it was my first big website. Firstly, I’ve actually been selling off my network of sites over the past few years. For a while I was focusing exclusively on affiliate marketing and didn’t have time to run them, so it had already been my goal for a while to dramatically reduce the number of sites I own. Secondly, I really want to focus on Votesy, and while I was hardly spending any time on Movie-Vault over the past 5 years, having it sold and out of my hands would still take some weight off my shoulders. Thirdly, I simply lost interest in film over the years, and once you lose interest in a project it is doomed for failure. I was once passionate about movies and film, but that simply fleeted over time. Lastly, since Movie-Vault.com was essentially "dead", I could have used the money from the sale to put towards Votesy. Unfortunately, it only ended up selling for $1,500. I had set the reserve at $1 so I was willing to take the risk of a low sale – I was committed to selling it. The new owner got an absolute steal on it. I can’t begin to tell you how much of a steal he got. 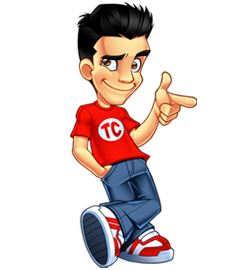 Just the robust custom-programming of the site is easily worth the sales price several times over; the entire system could easily be rehashed to make a gaming review site, for example. Then there’s the fact that the system has 15,000+ double opt-in registered members, over 2,500 exclusively-written movie reviews, etc. But sites these days, unless absolutely swarming with traffic, almost exclusively sell based on existing revenue, and Movie-Vault.com was making next to nothing. I actually first created Movie-Vault.com as part of a grade 12 Information Technology assignment in which we had to make a website. I created a purple website called "Movie Planet", and after I was graded for the assignment, decided to keep working on the website. Shortly thereafter I purchased a domain for it (it cost like $150 at the time!) and the rest is history. In fact, my decision to try to make money online for a living originally stemmed from those first few months of putting banner ads up on Movie-Vault and making $5 a month, then $11, then $15, etc. That was the exact moment I decided to do this for a living. I don’t believe I ever wrote about that before. I have a lot of memories with Movie-Vault.com. Apart from personally interviewing people in the industry (directors, producers, film scorers, actors), one of the notable memories I have is when Lucasfilm Studios sent me a cease and desist notice after one of our news posters leaked behind-the-scenes photos of Star Wars Episode II. We received so much traffic as a result of that, that it took down our servers for a couple of days. We were getting links from all over the internet, including the front page of Yahoo! (Yahoo! was still very popular at that time). And of course, for a while Movie-Vault.com was attending red carpet premiere’s and interviewing A-list celebrities. Anyhow, the sale of Movie-Vault marks an end of an era for me. PokerForums was my largest money-making website, but I invested the most blood, sweat, and tears into Movie-Vault. In some ways it feels good to sell it though. Maybe the new owner can resurrect it back to life again, and selling it does take a bit of load off my shoulders. It’s nice to look forward, not back. I’m glad to see you are active on your blog again. For $1,500, why wouldn’t you just keep the site? I know you aren’t doing anything with it anymore, but just because the site is dead doesn’t mean you should give it away for practically nothing. I also have sites that are no longer what they used to be, but I have no intention of selling them for such a low price. Even if someone offered me $1,500 for one of my dead sites, I would rather just keep the site and turn down the low offer. The only reason I would sell for a low price is if I absolutely needed the money. I wouldn’t have sold Movie-Vault for only $1,500 if I had known that would be the final price. I was committed to selling it though as I had set no reserve on the auction and was willing to take that risk in order to try to drive up interest on the auction. I agree with Mark. $1500 seems very low to sell all those emails, back reviews, and history. For that price, I’d have just given it to somebody I know and trust (like your reviewer, for example). It’s actually better to sell it for such money rather than just give it for FREE to someone who can destroy it in seconds. The price is low though. After it has been sold, what difference does it make if it is “destroyed”? Then you’d be shelling out money for the server, domain costs, etc. and wouldn’t have the technical abilities to fix the site when things went break or need tweaking. Good for you Tyler! What people don’t understand is sometimes you have to give up the good to go after the great. How can a one give his mostly worked on websites to someone else? The site we worked on very hard should not not be for a sale. If you sell it on flippa than the new owner was lucky enough to take it. Otherwise in there mostly people selling spam and garbage sites more than 5k USD. You deserved more than that..But its ok..Now look forward for other things as well. But why u sold your website?